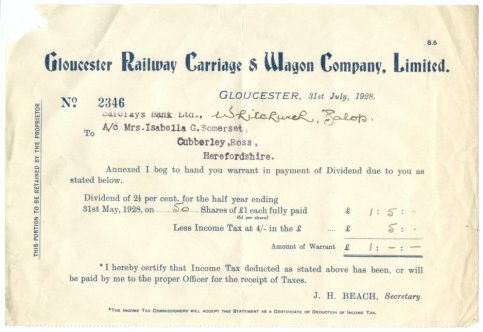 This is a Dividend payment notification from the Gloucester Railway Carriage & Wagon Company, Limited to a Mrs. Isabella G. Somerset from Cubberley, Ross. 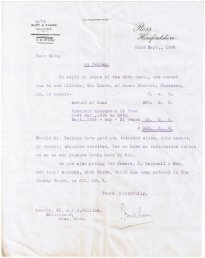 This item dates from 31st July 1928. 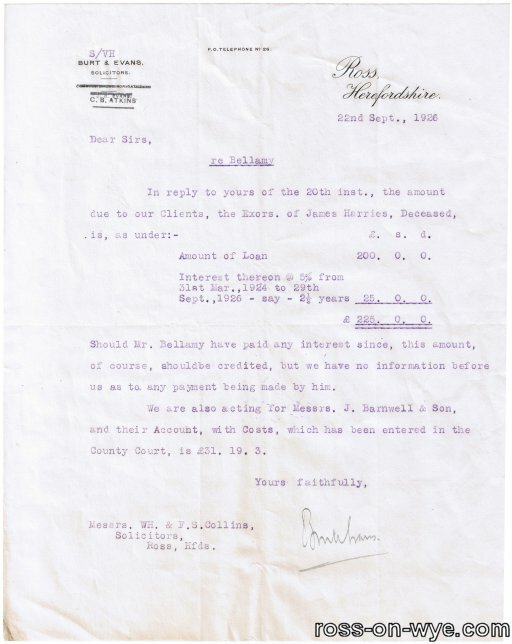 Burt & Evans were solicitors in Ross in the 1920's and this is a letter relates to the Estate of James Harries. 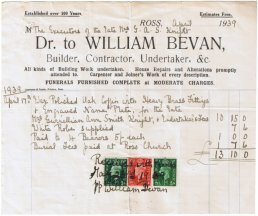 William Bevan was a builder, contractor, undertaker etc. He specialised in in all kinds of building work including house repairs and alterations. They also did carpenter and joiner's work of every description. 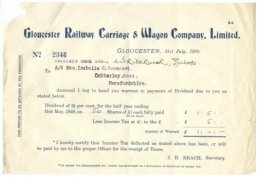 This is a receipt to the executors of the late Mrs. G A S Knight for the supply of a wax polished coffin with heavy brass fittings and engraved name plate for the late Mrs. Gwinellian Ann Smith Knight and Undertakers fees. 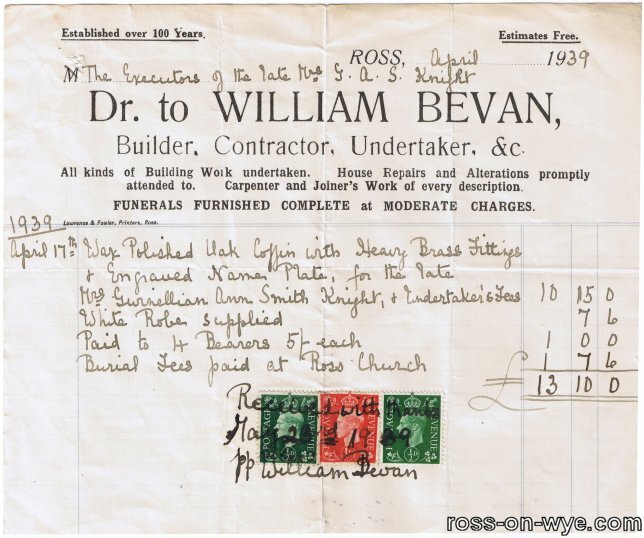 This also included a white robe, payment to 4 off bearers (of 5 shillings each) and the Ross Church burial fees. This all cost 13 pounds and 10 shillings. This item dates from 1939.